Earlier this week Rabbi Jonathan Sacks made himself look foolish, tarnishing his worldwide reputation as a man of considerable Jewish learning and wisdom by making outlandish criticism of the Labour Party Leader Jeremy Corbyn. Free Speech on Israel is a predominantly Jewish Group most of whose members are members of the Labour Party. It was formed in 2016— following a series of false allegations of antisemitism made against individuals and groups campaigning for Palestinian rights—under the slogan ‘It is not Antisemitic to Oppose Zionism’. I was disappointed, but regrettably not surprised, by your reply which did not address any of the issues we raised about the problems with the IHRA definition of antisemitism. Since we wrote the Guardian has published an essay by Nathan Thrall which describes how the definition was produced as a propaganda weapon in the Israeli campaign against BDS and labelling Israel as an Apartheid state. This letter was sent to Lib Peck, leader of Lambeth Council, on 13 August by Jewish members of Lambeth Labour Parties. As Jewish members of Lambeth Labour Party we are dismayed by your letter to the local shul. Leon Rosselson explores how The Guardian allows only one narrative of the Holocaust and condemns survivors who tell another tale as antisemitic: ‘the wrong sort of survivors’. So that we do to strangers what was done to us. For the god they worship turns them into stone. Though they are Jews they do not live inside my heart. In its July 10 letter, Hammersmith and Fulham’s Labour-run council has informed me that my appeal against dismissal from my job as a housing enforcer for “bringing the council into disrepute” has been rejected. That exhausts the council’s internal disciplinary procedures, and leaves me free to pursue a wrongful dismissal case in an employment tribunal, after going through the precondition of attempting conciliation via Acas – the government’s advice, conciliation and arbitration service. Is antisemitism different from other forms of racism? Mike Cushman asks, wherefore is this racism different from all other racisms? Advocates of the IHRA document on antisemitism often claim that antisemitism is different from all other forms of racism because it attacks a privileged group rather than a disadvantaged group – are they right? Both Jewish and non-Jewish members of the antisemite hunting pack are fond of this claim. The answer is, of course, no and yes. 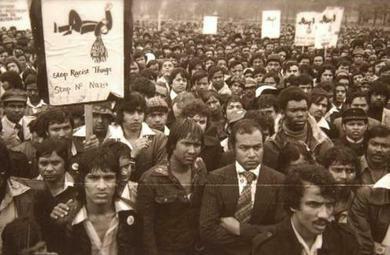 Immigrants Act onwards. 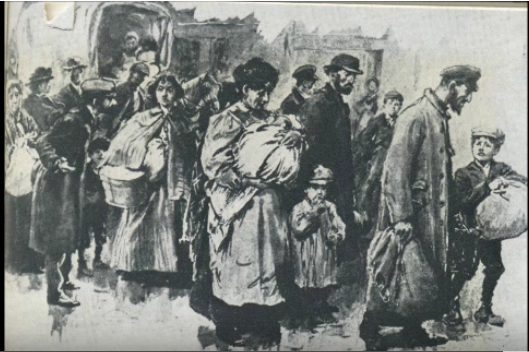 Jews then faced the same problems in accessing housing, jobs and fair treatment from public agencies that people of colour face now. So, in this respect – no, not different. Author FreeSpeechonIsraelPosted on 19 July 2018 1 August 2018 Categories Definitions and accusations of antisemitism, Israel, Zionism/Zionist OrganisationsTags antisemitism, IHRA definitionLeave a comment on Is antisemitism different from other forms of racism? 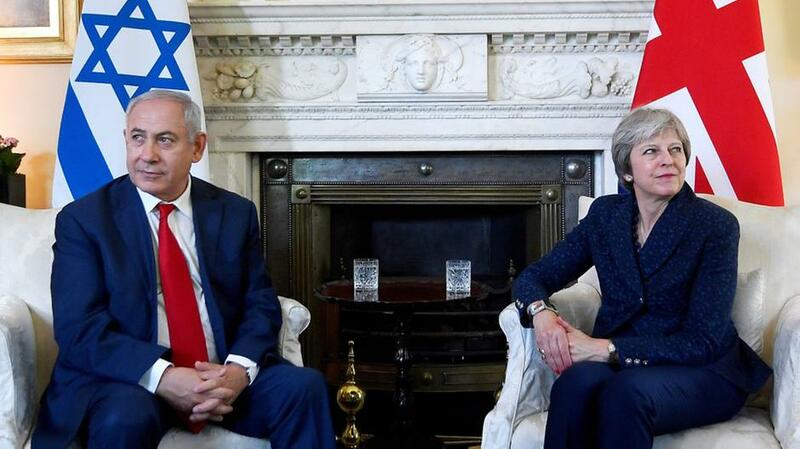 Mike Cushman condemns the suppression of Steve Bell’s cartoon of Netanyahu’s meeting with May as only the latest censoring of drawings of the Israeli PM in a bonfire of morality. The Guardian, which regards itself as Britain’s leading progressive newspaper, has censored a cartoon drawing attention to the sycophantic nature of Theresa May’s relationship to Benjamin Netanyahu. The cartoon drawn by Steve Bell, widely regarded as Britain’s outstanding political cartoonist, is based on a press agency photo of May’s meeting with Netanyahu at 10 Downing Street. Bell replaced the fireplace with a drawing of murdered Palestinian medic Razan al-Najjar. Liberty, Britain’s leading human rights charity, agreed a resolution deploring use of the IHRA (mis)definition of antisemitism at its AGM on 19 May. Public bodies urged not to adopt IHRA definition.